I’m sure we’ve all experienced a moment where a whiff of fragrance transports us back in time . I chased a woman down the mall once to find out what perfume she was wearing, because it was the same scent my preschool teacher wore! Our sense of smell remembers and teases us with quick trips to the past. 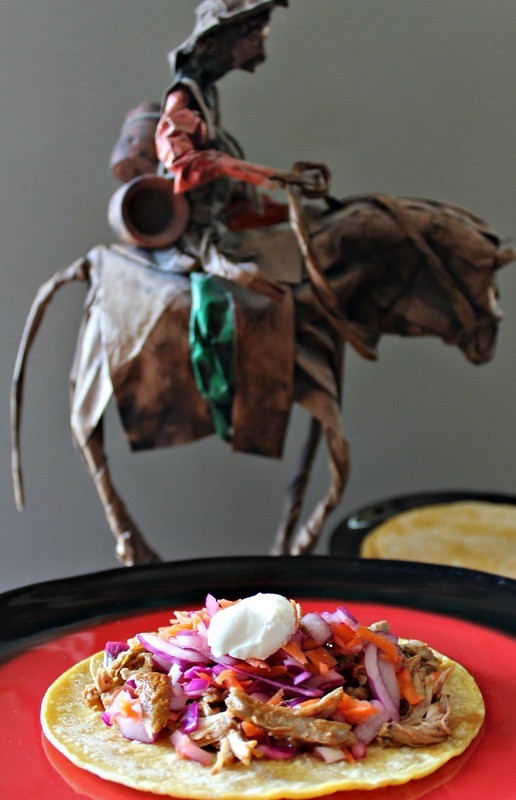 When I pondered what to make for a Cinco de Mayo roundup with my blogger friends, a dish my son and I prepared during my recent visit to California was the obvious choice (even though it has nothing at all to do with baking). 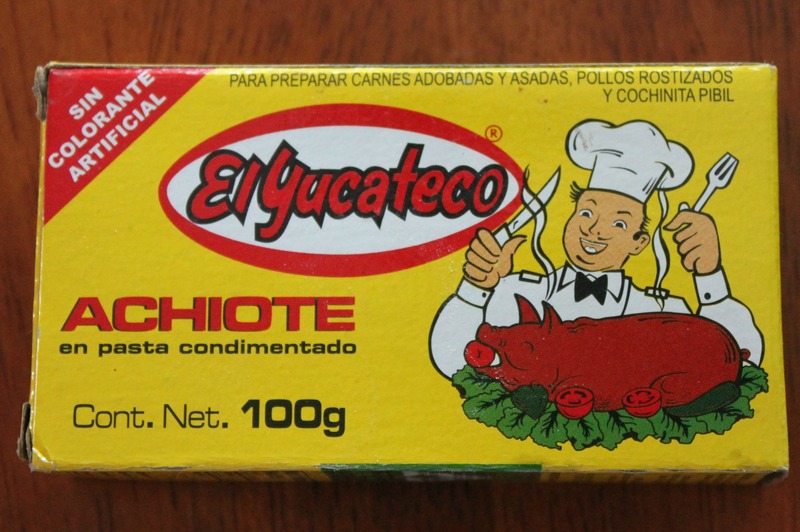 At the time we couldn’t find achiote paste, so had to make a homemade version in our own freestyle way. But this time (thanks to Amazon) I have the real stuff, and HOO BABY, does it smell delicious. When I opened the package I was instantly taken back to a family vacation in Cozumel when I was fifteen years old. That was a long, long time ago. There was a hotel/restaurant down the beach where we ate often, and this…THIS is the exact aroma I remember. Heavenly. (Wistful sigh here.) I jazzed up the Xni-pec topping, adding carrots and red cabbage for more crunch. It’s similar to cole slaw, only spicier. A dollop of sour cream on the top cools it down a bit. Speaking of cooling it down a bit, you know you should always wear gloves when working with peppers, right? I know this too. I do. But right now I’m housesitting at a friend’s place and didn’t have access to disposable gloves – and it was just one little jalapeno pepper, right? From experience I can tell you that if you rub your eye after cutting up a jalapeno pepper, you will need to wash it out thoroughly with milk. ‘Nuff said. 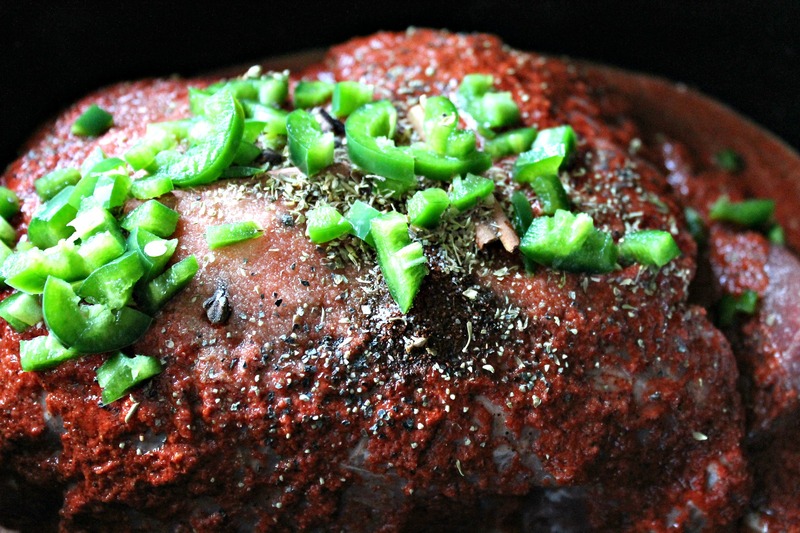 Place pork in a large crock pot. 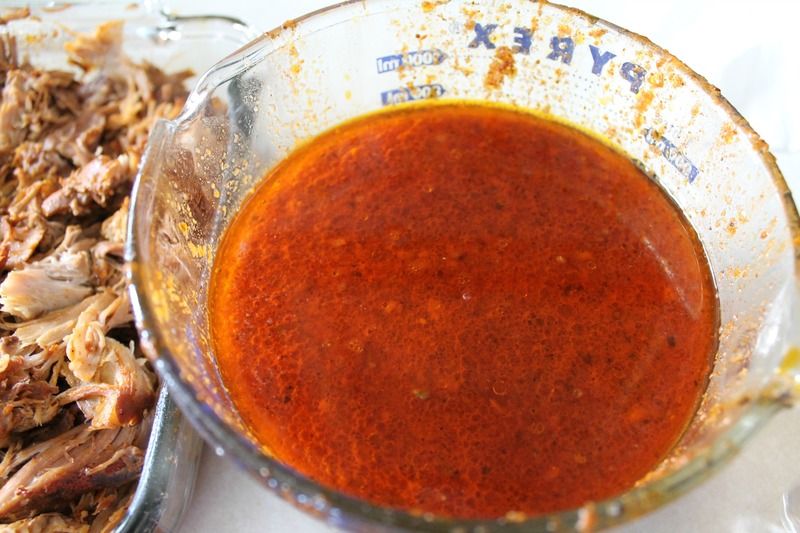 Put in a blender: achiote paste, garlic, onion, lime juice, orange juice, orange zest, vinegar, cumin, chili powder, pepper, salt, and oregano. Blend until smooth. Pour over the meat. Sprinkle with cloves, cinnamon stick, allspice, and chopped pepper..
Cover and cook on high for one hour. Turn heat to low and cook for 5 hours, or until meat is fall-apart tender, turning the meat over once during the cook time. Remove the pork to a platter or baking dish and shred, using 2 forks. Remove and discard any large pieces of fat or whole spices. Strain the juice from the crock pot to remove whole spices and return the juice and meat to the pot, keeping it on warm until you are ready to serve. Combine all of the ingredients for the Xni-pec. 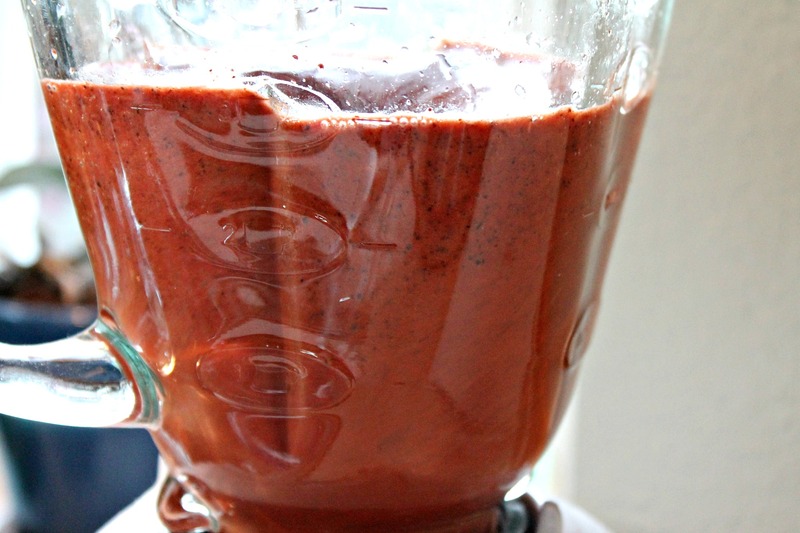 Allow to sit for 15-20 minutes to allow flavors to blend. 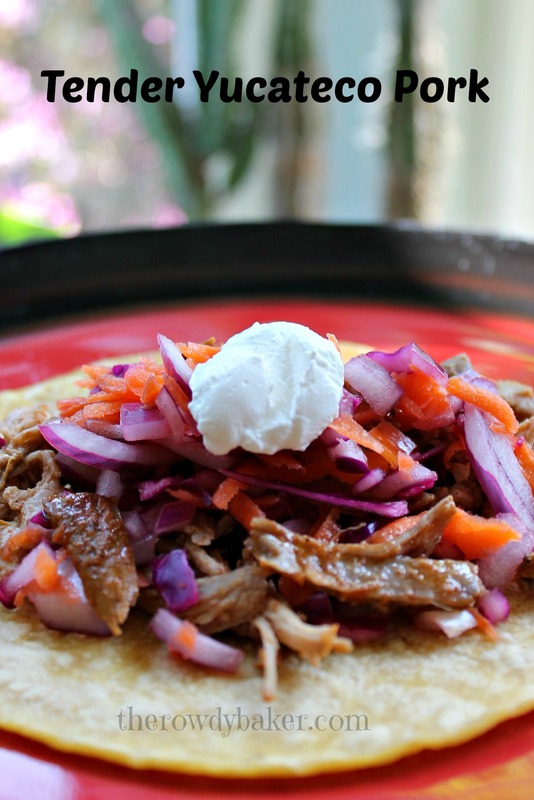 Serve the pork in hot corn tortillas. Top with xni-pec and a little sour cream. 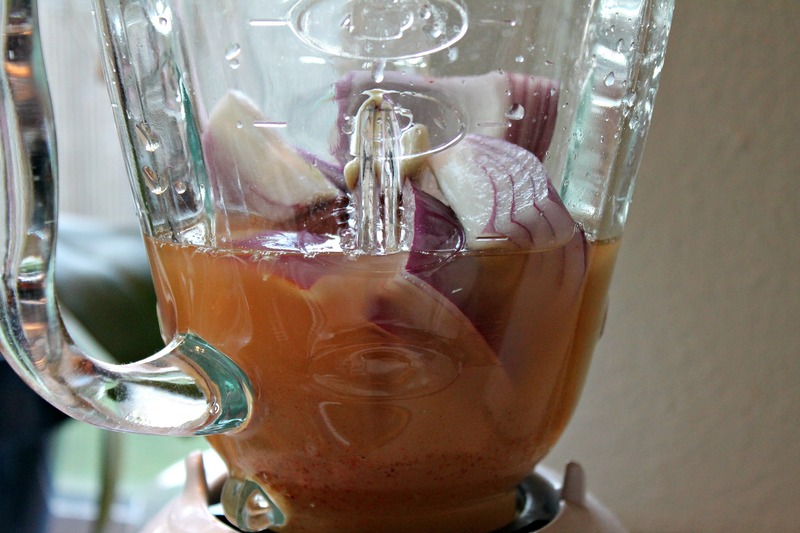 The leftover juices in the crock pot make a wonderful base for a spicy Mexican soup! Trust me – you’ll want to freeze this for later. Just ladle off the fat from the surface, or chill in the refrigerator to make it easy to remove the solidified fat and freeze in an airtight container. 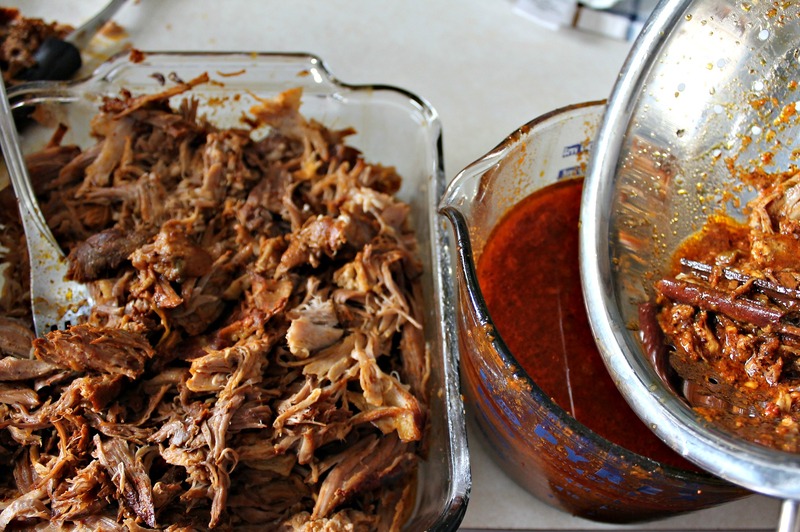 Pour over pork in crock pot. Sprinkle with peppers and whole spices. Shred meat with forks and strain the sauce. As always, feel free to change this recipe to suit your taste. I’m kind of wimpy when it comes to hot, spicy foods, so I kept the heat down to a reasonably fiery level. You may want to add more peppers to your batch. I’m also thinking of adding a bit of dark chocolate to the crock pot next time for another layer of flavor. Pile the pork on a tortilla, top with Xni-pec and a little sour cream (chopped tomatoes are nice, too) and enjoy! 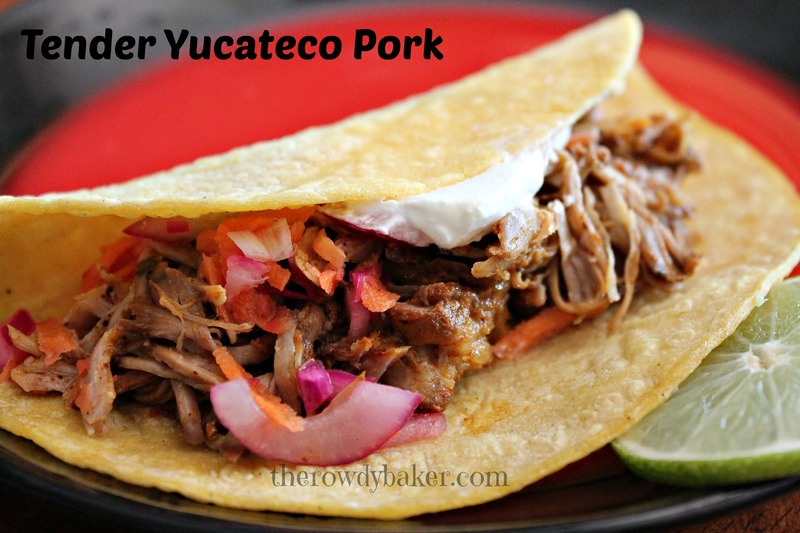 This entry was posted in Holidays, Main Dishes and tagged Cinco de Mayo dinner, savory pork on tortillas, Xni-pec topping, Yucateco Pork by Lorinda. Bookmark the permalink. Thank you, Nettie! Pretty simple, too. Thanks, sounds delicious. Will be adding some orange juice to mine this weekend. Thanks, Rich. 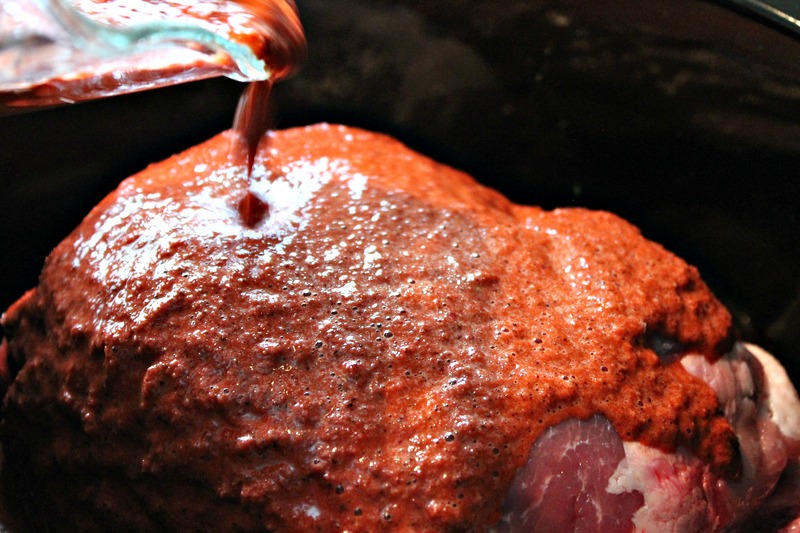 If you can find that achiote paste, it really adds some amazing flavor!